← Keen to drive Trev in Zero Race? You are now fully qualified, and are looking great, Go out and show the World what you can do. You are young; have been nurtured with loving hands and have such good qualities. We know you will experience all manner of things and meet a wide variety of people. We also know you will not hurt our planet. Tread lightly. We are relying on you to lead by example. Send back lots of photos and the news of your journeys. Good luck, take care, from Down-under here we will all be thinking of you. Will be following your progress in Zero Race with much interest. Are these vehicles able to be purchased either as a kit , in parts or in full ? At the moment Trev is a prototype only. But we are slowly putting all of the details on the web at Trevipedia, for people that would like to build their own. 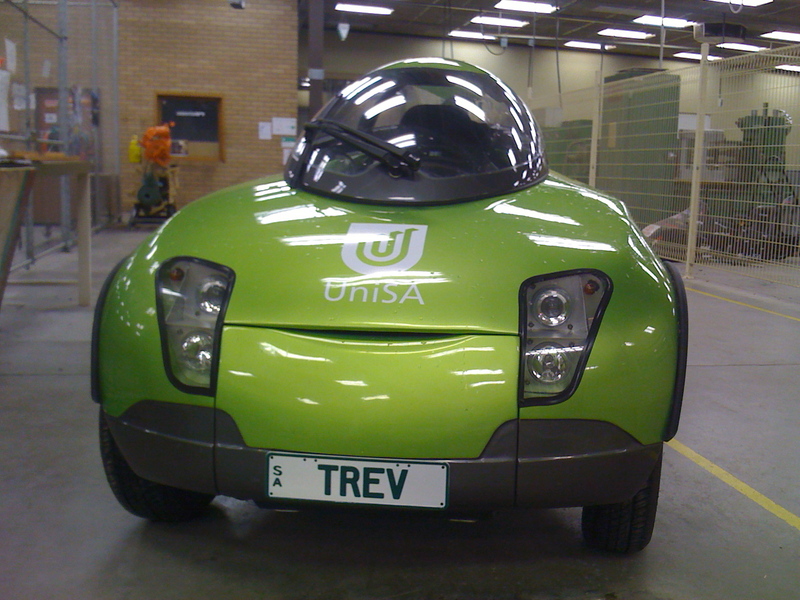 Team Trev is a group of volunteers who have driven a small green electric car, Trev, around the world in the 2010 Zero Race. Help design and build more Trevs at Trevipedia. If you are interested in sponsoring Team Trev, contact us.